Bodybuilder Chat City is a brand-new dating platform that is built to embrace bodybuilding singles and their admirers alike by providing them a possibility for instant and smooth communication. 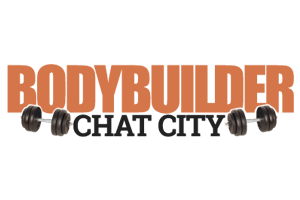 MIAMI, FL, November 29, 2017 /24-7PressRelease/ — In the opinion of a majority of men and women who practice the bodybuilding, this is not just another recreational activity but rather a way of life. That being said, it comes only natural to assume that bodybuilding singles are often having a hard time when it comes to finding a date outside the gym. Namely, bodybuilders often perceive traditional dating as a group of time-consuming activities that require shifting focus from healthy and disciplined living; These devoted sportsmen and women are usually feeling most comfortable when spending their time at the gym. Bodybuilder Chat City, on the other hand, has clearly recognized the right moment to introduce this all new bodybuilding chat designed precisely for hard-bodied singles and their admirers who want to bypass the hindrances of traditional communication and cut right to the chase. More importantly, Bodybuilder Chat City has launched this idea in a shape of a friendly online environment that is ready to embrace everyone on a lookout for an exchange of healthy living and exercising tips while keeping their romantic options open. This further implies that bodybuilder dating is also entirely possible via this chatting service since it allows its users to enjoy webcam chat, send private messages and basically try out variety of features that usually fit the description of a regular dating website, but in a quick, simple and efficient manner that won’t keep them off the exercising area for any longer than necessary. Bodybuilder Chat City is available across the country 24/7 and can be found on the web at https://www.bodybuilderchatcity.com.